“One riot, one ranger” is a quote attributed to Texas Ranger Captain W.J. McDonald during the early 1900’s. When it comes to financial fraud and lender liability, there seems to be several rangers riding tall and all in New York City. Most of the major financial fraud cases in the United States have been prosecuted in the Southern District of New York, the federal judicial district located in Manhattan. A close second is the Eastern District of New York comprising Brooklyn and Long Island and led by Loretta Lynch, now the nominee to be the next Attorney General of the United States. Don’t forget Manhattan’s District Attorney, New York State’s Banking Superintendent or the New York State Attorney General. Together, the five have made many errant banks and financial companies quite uncomfortable. We filed one of the cases that resulted in the largest whistleblower case in history, the Justice Department’s $16.65 billion – that’s $16,650,000,000.00 – against Bank of America. But New York Attorney General Eric Schneiderman is pursuing a $10 billion claim against Credit Suisse. The charges relate to the sale of toxic mortgage backed securities in the run up to the 2008 financial crisis. Credit Suisse attempted to shake off the suit but a state court judge said the suit could proceed. The bank says it will appeal. Most of the large suits against banks have been filed by whistleblowers. Schneiderman’s Credit Suisse case is an exception. Coming on the heals of the $17 billion Bank of America suit and the $13 billion JPMorgan Chase case, the Credit Suisse may be one of the last billion cases. That’s because the statute of limitations – the time period in which a whistleblower or prosecutor can file a lawsuit – is near or at the end for most type of claims. Whistleblowers get much of the credit in these suits. We also have no doubt that as long as big banks and other financial institutions such as loan servicers and mortgage companies are motivated by greed, new forms of fraud will surface. When it happens 5 sheriffs and an army of whistleblowers and whistleblower lawyers will be waiting. 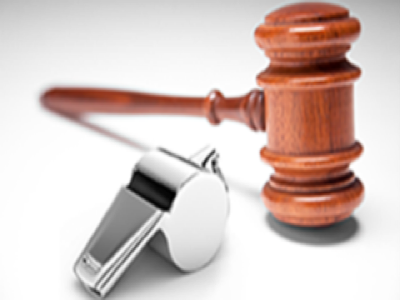 Mahany & Ertl is a boutique law firm that concentrates in whistleblower claims such as federal and New York state False Claims Act, SEC whistleblower and FIRREA cases. 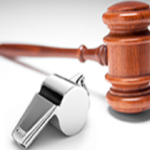 We help put and end to fraud and help our clients earn the maximum whistleblower awards allowed by law.